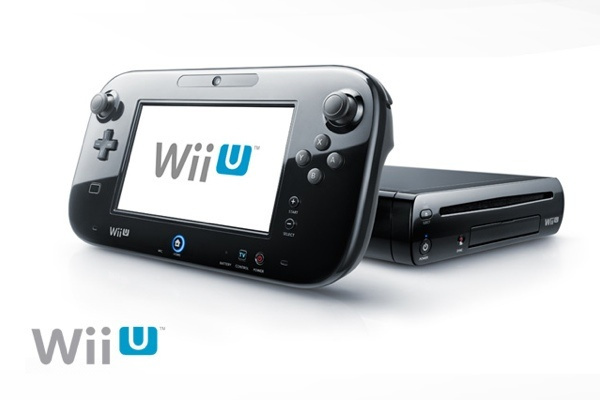 Will Wii U be first rate for third parties? Nintendo president Satoru Iwata has revealed we'll see brand new third-party Wii U games later this year when Nintendo reveals the console's price and release date. I think some of these projects have already been announced at E3, but there are other games in the works that haven’t been announced yet and in the autumn, when we announce price point and timing of the launch, we will also be able to announce some more third-party titles. Whether or not those third-party games will make it for launch is something we'll also have to wait to find out, but if you've been unimpressed by Wii U's third-party offerings so far there might be something to interest you at these autumnal events. No more Heroes 3 please! Anyway, Professor Layton please. Remakes or new are both fine with me. I just hope we not only get remakes of games I've already skipped on my 360 because I didn't like them - I'd hope for something truly unique, if you want to sell us "asymmetric gameplay" Nintendo, then make sure your third party developer jump the wagon and create something truly unique only possible on your platform. I'm going to be completely broke once the Wii U launches. No More Heroes 3 seems the one more true. Call of Duty Black Ops 2 AND Medal Of Honour Warfaighter!!!!!!!!!! I hope for no more heroes 3 too, and yay I heard Suda 51 say something about it showing up on a Nintendo console again on IGN, here's hoping it does!!! If this is a deliberate ploy by Nintendo I have to say it's a really dumb idea. When the market is wary of, and in some cases confused by, your product you should be shouting your wares from the rooftop, not hiding them in the dark. Nintendo should be releasing information every day about how awesome Wii U is, what new features it brings to table and, yes, telling you about all the great games that are on the way. This weird silence thing is kind of killing any anticipation I had for the system. The system's likely to be released in 6 months time and I'm still not exactly clear on why I would want a tablet controller. I'm also sure that its going to be at least one of these. For me, personally, I would just go ape-CRAZY if SimCity was announced for Wii U releasing in 2013 with the PC version. Off the wall, but that game would be incredible in Wii U. Well at least we'll know the release date soon. @pixlatedpixie Nintendo has already announced some of the third party titles and are allowed to hold something back, it's called building hype. BRING IT ON I SAY! I want Resident Evil 6, Black Ops 2, Need 4 Speed: Most Wanted 2 & GTA5 to be officially announced. Also Ubi if you are listening I want Watch Dogs and Far Cry 3 on my Wii U! Couldn't they have shown THESE projects at E3 this year instead of Wii Fit U, Sing, and Just freaking Dance 4? I know they consider E3 to be just the tip of the iceberg, but that was the BIGGEST EVENT OF THE YEAR! Everyone's saying Nintendo bombed! Eh, I guess it might have been too early to show them... like Retro's project? This is still good news nevertheless. Let's hope they're games that people want to play. True, but in order for them to build hype they're going to need momentum and interest, which in my opinion the Wii U is sorely lacking currently. This is of course just my opinion, but I feel now is not the time for Nintendo to be holding anything back. Coming out of E3 I got the sense that Nintendo fans (i.e. those most likely to buy the system on release day) were not encouraged and that casual gamers and the mainstream press are either confused by it or simply disinterested. The silence from Nintendo not only on games but on system features and services is deafening. Pikmin 3 looks good and Miiverse looks like a thing, but I still get the sense that Nintendo have failed to convey what the Wii U is and why I would want one. The best way they can overcome that problem is by showing us the games, not hiding them. Just to reiterate, this is the opinion of someone who knows nothing about launching a games console or, indeed, business generally. Good to see we'll be getting some more third party support. To be honest though, the best thing about this news is finding out that the price and release date for the Wii U will be revealed sometime this Fall. That's what I'll be waiting for! I'd love to see Tomb Raider on WiiU! As someone who can't afford the luxury of all 3 consoles my loyalty stays with Nintendo so I'm not going to buy any other console for just one game (O wait I did that with Toejam and Earl for the XBox). I'd like to see Sim City released for WiiU too, the gamepad will work so well with a game like that! These secret titles are to entice the people who are possibly on the fence about Wii U, not to bring in the casual gamers. Also, with all of the awesome games they showed at E3, ports or not, I think they can hold back a little. That is a pretty big list and some of those titles already have me wanting Wii U.
I'd really appreciate if they told us sooner rather than later, so I can make some purchasing decisions. Battlefield 3 game of the year edition, please! Also dead space collection, crysis collection and make it happen tommorow! Good in general, but it depends on what 3rd party stuff's coming. Hopefully, some of these games will be NEW, and they just needed some more time before they were ready to be shown. Space Channel 5 Part 3 porfavor. HotD:Overkill 2 pls. k thx bye. It's going to be exciting to see what else is going to come for the Wii U. The more quality launch games, the better. GTA5, DOA5, MGR: Revengeance, DmC, Far Cry 3, Watch Dogs, Bioshock Infinite, OverStrike, SimCity, NFS: Most Wanted, Splinter Cell: Blacklist & Rainbow Six: Patriots. If these games come to the Wii U, my pockets are going to be thinner than Keira Knightley.